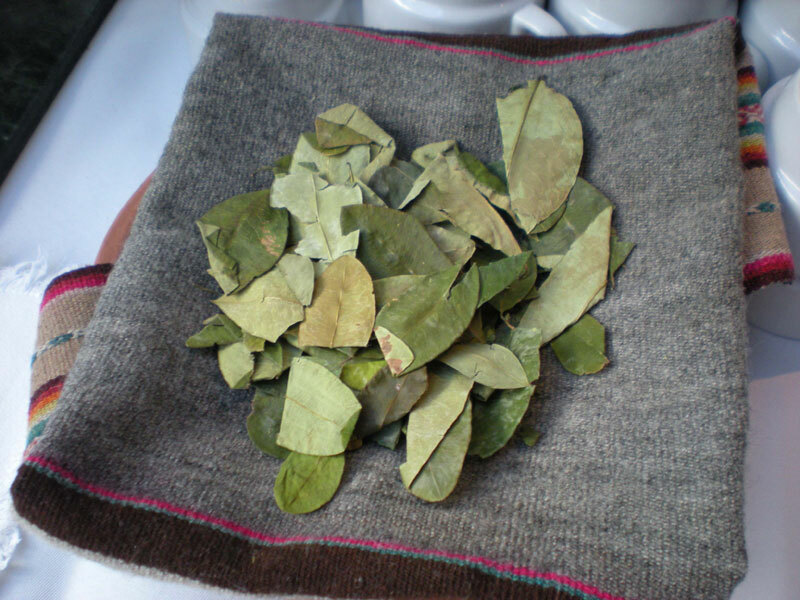 Yes, coca leaves are the raw material for cocaine, but chewing the leaves or drinking coca tea when you’re in Cusco (altitude 3,400 metres) clears your throbbing head and lets you breath again. And it’s legal. THINGS, AS THEY they say here in Cusco, go better with coca. That’s because the Peruvian city and UNESCO World Heritage Site is perched vertiginously at 3,400 metres in elevation, and nothing combats the effects of altitude sickness quite as effectively as this leafy member of the plant family Erythroxylaceae. You could also say that the combination of elevation and coca make this one of the highest cities in the world. You feel the effects of the altitude within minutes of disembarking from your plane on the dusty tarmac of Alejandro Velasco Astete International Airport: shortness of breath, headache, dizziness and nausea. Then there are the hallucinations, which aren’t nearly as much fun as you might think. And, in extreme cases, altitude sickness can lead to death. It makes you wonder what the Incas were thinking to establish the capital of their empire here back in the 13th century. Luckily, they knew all about the powers of coca. So do the vendors who greet your flight. Most of them are descendants of the Quechua peoples who’ve long called this land home, and they come bearing plastic baggies of dried coca leaves, coca tea and coca candies. Visitors greet their wares with both curiosity and trepidation. After all, coca is illegal everywhere on Earth except Peru, Bolivia and parts of Argentina. That’s because coca is generally best known for containing a psychoactive alkaloid called cocaine, the raw material for the drug snorted in nightclub bathrooms the world over. However, the amount of cocaine in coca is minuscule, and the effects are quite different. Coca is a mild stimulant that combats thirst, hunger, pain and fatigue, without the euphoria and psychoactive effects of cocaine. Locals usually chew the dried leaves, adding more leaves throughout the day to a wad tucked in their cheeks. It’s the way they’ve done it here for 5,000 years; indeed, if you look closely at the paintings in Cusco’s cathedral, you’ll notice that all the saints have a suspicious bulge in one cheek. Coca consumption also has a religious and cultural aspect. It was long a part of spiritual life among the Inca and, even today, locals bow to the mountain gods and offer a little incantation thanking them for this miraculous herb. Visitors, too, might find themselves thanking the native gods when they finally break down and indulge after a day of panting and gasping as they explore Cusco’s historic streets with their pre-Columbian ruins, bustling markets, magnificent cathedrals and elegant shopping arcades. Most hotels have urns in their lobbies dispensing coca tea. One sip, and you’ll note that coca has a pleasant, delicately herbal flavour similar to green tea. A few more sips and your head clears, the throbbing subsides and you can breathe again. It really is a miracle drug, you think. Just don’t be tempted to tuck a baggie of it in your luggage. For information on travel in Peru visit the government’s Tourist Information and Assistance website at www.peru.travel.